I know that some families might reserve cornbread muffins for the fall, but we like them all year round. They are quick to stir together and bake up, and they are incredibly versatile—they pair well with chili, salads, chicken dishes, and even eggs. And they stand alone as a filling snack, especially when drizzled with a little honey. This version, which is almost imperceptibly loaded with a veggie, is a recent favorite. I sometimes joke that the only time that my daughter will eat homemade muffins is when they are fresh from the oven. 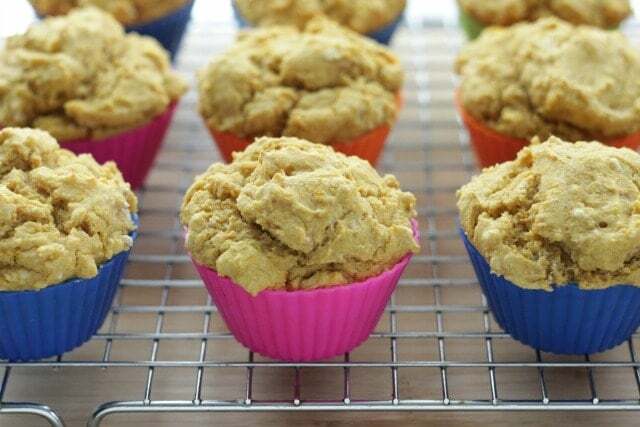 But if I time it right, she’ll happily dig in, and she loves these cornbread muffins, especially when I bake them in colorful silicone liners. 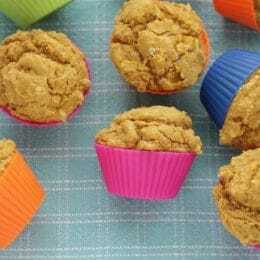 The inside of these muffins is moist, yet dense, with an almost cake-like texture. They are tender without falling apart and freeze nicely too. 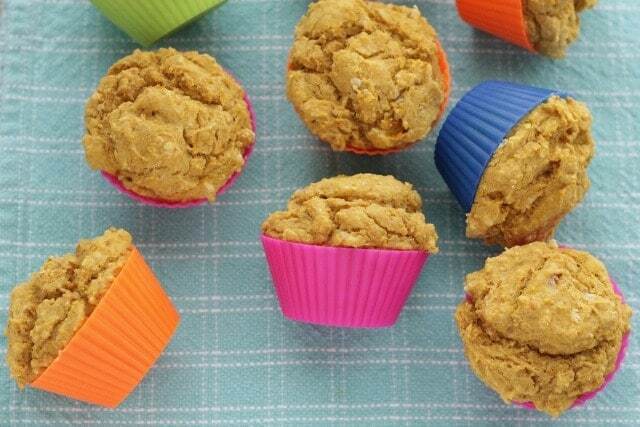 If your family has an issue with dairy, you can make these muffins with a nondairy milk. I’ve been using this unsweetened Flax Milk with great success, though I’ve made them with regular dairy milk in the past, too. And since there aren’t any eggs or nuts in the batter either, they are also a safe bet for little ones with an egg or nut allergy. 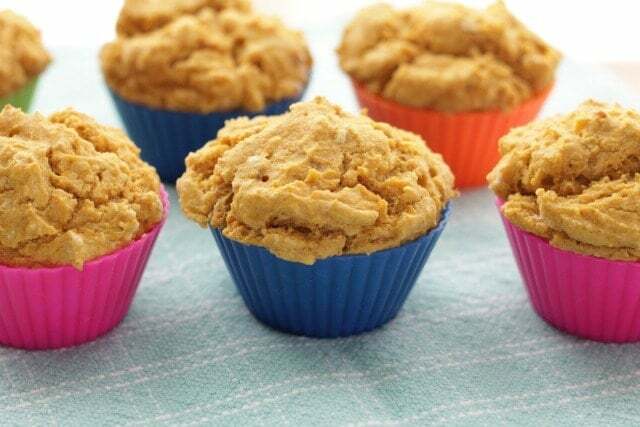 Whether you serve these warm out of the oven, as my little girl prefers, or reheat them briefly later on, your family will love the moist texture and subtle sweetness inside each bite. Amy Palanjian shares recipes and feeding inspiration for little ones at Yummy Toddler Food. Follow her on Instagram or find her on Facebook. Rinse/scrub the outside of your sweet potatoes. Don’t dry them – put them right in your slow cooker. This is the only liquid needed. Just what is on them after rinsing! Set to low and cook for 6-7 hours depending on how big your sweet potatoes are. Preheat the oven to 375 degrees F and line a muffin tin with silicone liners or grease with nonstick spray. Bake for 24-26 minutes or until just starting to turn golden brown and a cake tester inserted into the center comes out clean. Let cool in the pan. Serve warm or reheat slightly before serving if desired. Hello, I’m planning on making these for my son. Will the sweet potatoes with the skin be mushy and mix readily with the other ingredients? Hi Marialis, thanks for pointing this out. You should actually scoop the sweet potato out of the skins before mixing with the remaining ingredients. We’ve updated the recipe to make that clear.